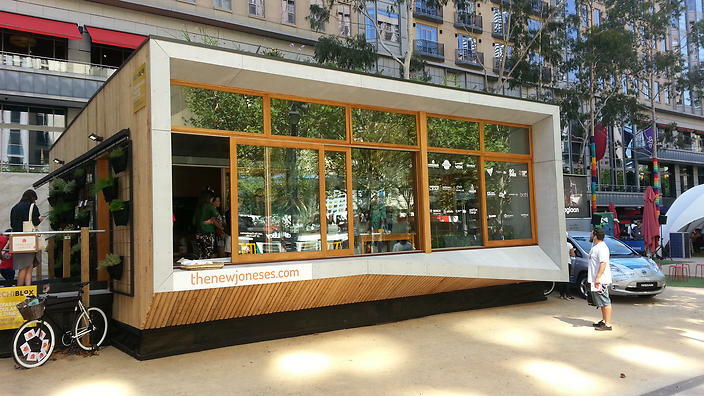 The SBS News brings us the first carbon positive pre-fab home in Australia. This house and the news made my Cool Stuff list. Carbon zero is the benchmark for best practise when building today, but in the future the federal government expects so-called “carbon positive” buildings to play an increasingly important role limiting global warming. In a significant step forward in efforts to reduce emissions, Melbourne-based architects have designed what is being billed as Australia’s first carbon positive pre-fabricated home. This is fabulous It’s about time we stopped building monster homes. Who knew so much is possible. Thank you very much Tess. I agree it is a good idea. I am so sorry you can’t get the video. That happens sometimes. Yes, it’s too bad. Still I got to view great pictures and a wonderful diagram. Thanks for that. I live in Canada, less than an hour from Niagara Falls. Wow! I can just imagine how beautiful it is. I went to Vancouver and Ottawa some 20 years ago. Loved it. You are very welcome and thank you very much for reading the story.